The Brotherhood of St. Andrew Men's Group meets on the third Saturday of each month at 8:00 AM in the Parish Hall. All men are invited; the cost of breakfast is $5.00. Sign up here. Open to anyone interested in playing handbells. Music reading ability is helpful but not essential. The class sessions are open to any age from Christ Church or from the open community. There is no fee and all materials will be supplied. Walk-ins are welcome or call Danny Lyons, 850-291-7131. 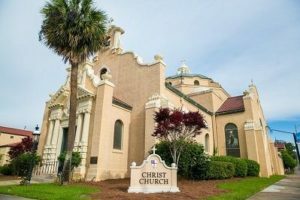 Christ Church offers Open House tours each Saturday morning. We invite you to come and discover the rich history of Christ Church. Please note: Although this is a regularly scheduled event, there are times when tours will not be available due to a funeral or wedding. 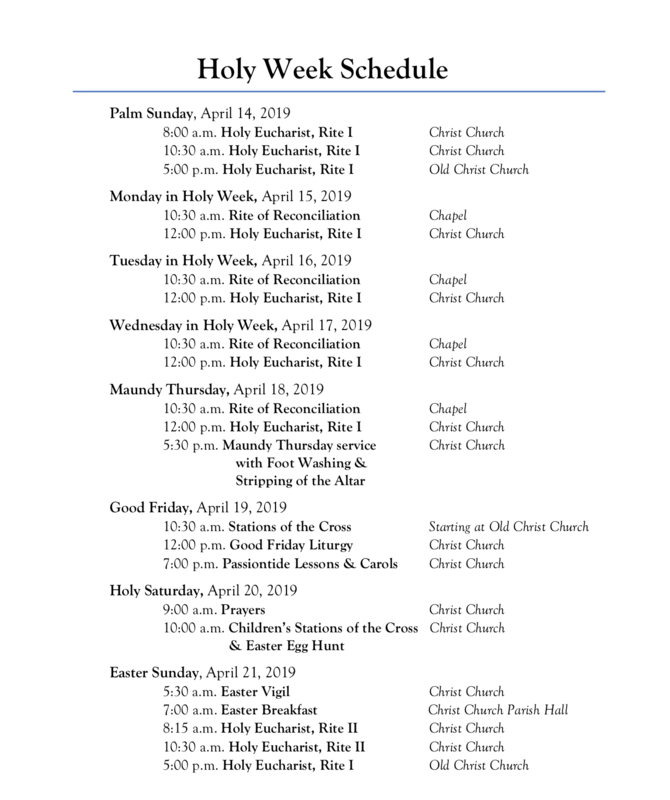 If in question, please contact the parish office at (850) 432-5115.